Usually ships in 4-5 business days. 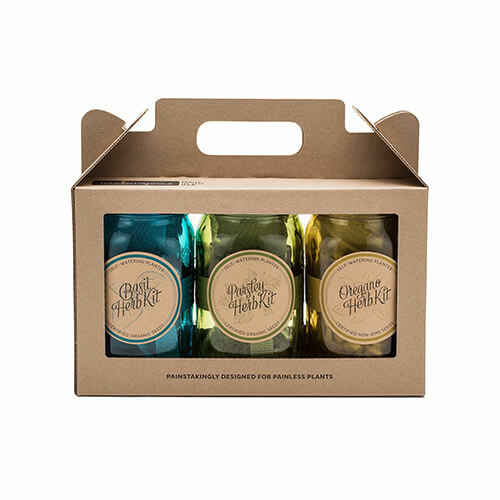 This product is eligible for Amazon Prime shipping. 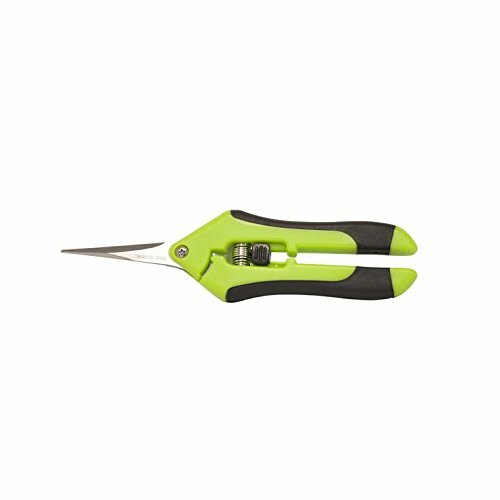 **REDUCE HAND STRAIN** These micro tip snips are built spring-loaded so that they automatically push themselves open without you having to do the work which greatly reduces hand fatigue making these snips great for those with arthritis, carpal tunnel, hand or wrist issues. And our Comfort Grip handles will make it easy to work for long periods of time without discomfort. **ULTRA SHARP BLADES** These quality snips come with stainless steel precision-sharpened blades and are ready to tackle all of your deadheading, trimming, and shaping needs for your roses, annuals, vegetable and small flower gardens. **SECURE, EASY TO OPERATE LOCK** These micro tip snips feature a safe and secure sideways locking mechanism that keeps your blades protected and closed when not in use. 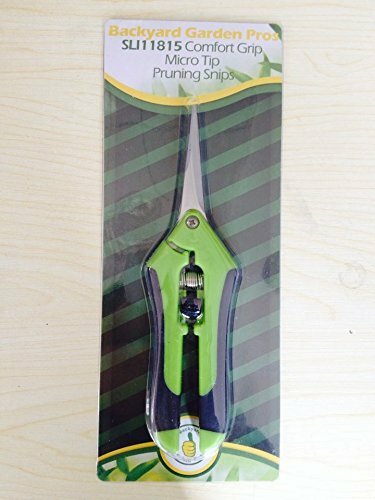 The design of these pruning snips are perfect to use whether you are right or left handed with ease. Looking for a way to quickly and easily trim and shape your flower and vegetable gardens without having to use bulky pruners or hard to use hand scissors? 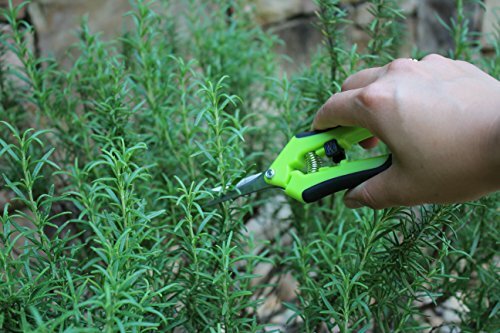 Well, you may have found your answer: Backyard Garden ProsTM Micro Tip Pruning Snips. 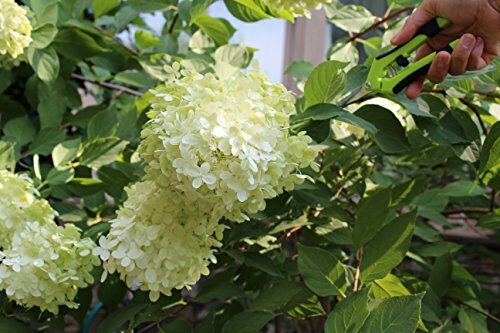 With precision sharpened stainless steel blades, these durable pruners allow you to work on your favorite flower gardens like roses, violas and petunias, tulips, petunias, daffodils, daisies and geraniums. Take these snips out to your home garden and see how well they help you collect fruit or vegetables including tomatoes, strawberries and bean picking. 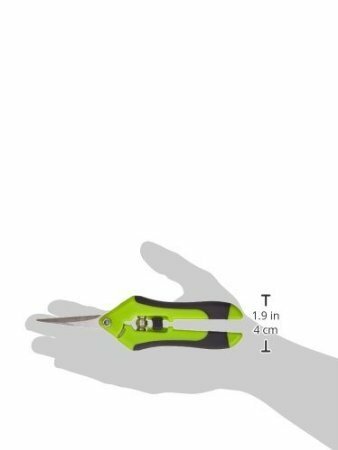 The small needle nose blades makes it easy to prune flowers or cut fruit and veggies at the stem without accidentally cutting a hidden branch or causing damage to stems that you were not intending to cut. Your satisfaction is really important to us, which is why this and every product we sell is backed with our Backyard Garden Pros 100% Happy Customer Pledge. (Check out our written Pledge in the images section). 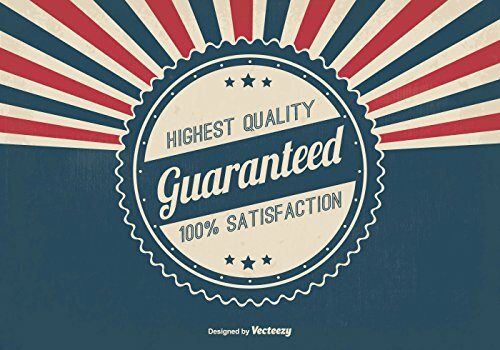 Your satisfaction is completely guaranteed. So buy with confidence today! You’ll be glad you did. We guarantee it. 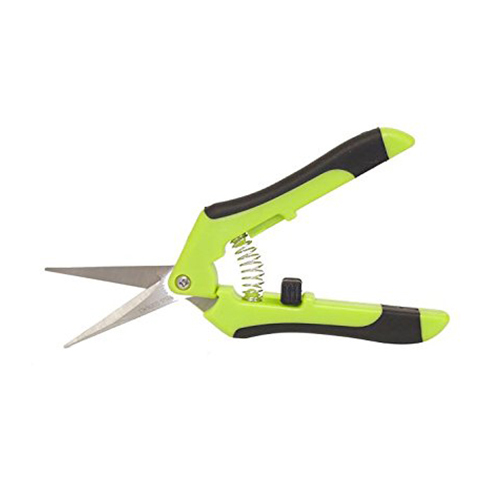 **MAKE PRECISE CUTS** With these micro tip snips, you can easily get between plants to “clip and snip” only the area or part that you want to cut with one-hand and without damaging the other vital stems and branches of your other plants. **FULLY GUARANTEED** Each and every pair of our snips are completely backed by our Backyard Garden ProsTM 100% Happy Customer Pledge (see bottom image.) You will be Happy or we will make it right. Guaranteed.